The Great Wall of China is an ancient series of walls and fortifications, totaling more than 13,000 miles in length, located in northern China. Perhaps the most recognizable symbol of China and its long and vivid history, the Great Wall was originally conceived by Emperor Qin Shi Huang in the third century B.C. as a means of preventing incursions from barbarian nomads. The best-known and best-preserved section of the Great Wall was built in the 14th through 17th centuries A.D., during the Ming dynasty. Though the Great Wall never effectively prevented invaders from entering China, it came to function as a powerful symbol of Chinese civilization’s enduring strength. 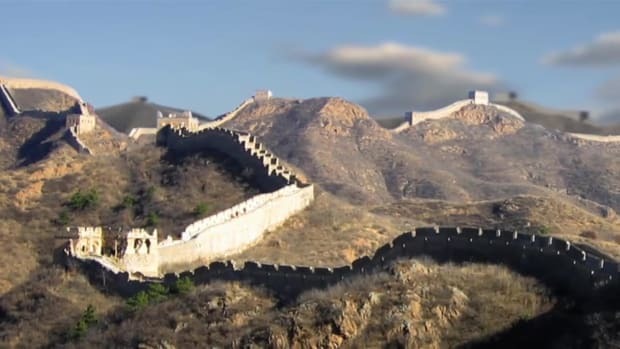 Though the beginning of the Great Wall of China can be traced to the third century B.C., many of the fortifications included in the wall date from hundreds of years earlier, when China was divided into a number of individual kingdoms during the so-called Warring States Period. Around 220 B.C., Qin Shi Huang, the first emperor of a unified China under the Qin Dynasty, ordered that earlier fortifications between states be removed and a number of existing walls along the northern border be joined into a single system that would extend for more than 10,000 li (a li is about one-third of a mile) and protect China against attacks from the north. Construction of the “Wan Li Chang Cheng,” or 10,000-Li-Long Wall, was one of the most ambitious building projects ever undertaken by any civilization. 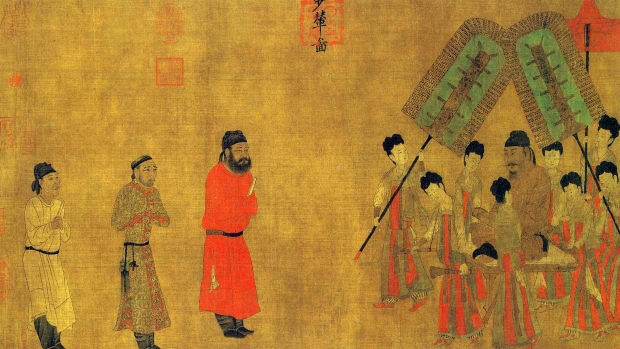 The famous Chinese general Meng Tian directed the project, and was said to have used a massive army of soldiers, convicts and commoners as workers. Made mostly of earth and stone, the wall stretched from the China Sea port of Shanhaiguan over 3,000 miles west into Gansu province. 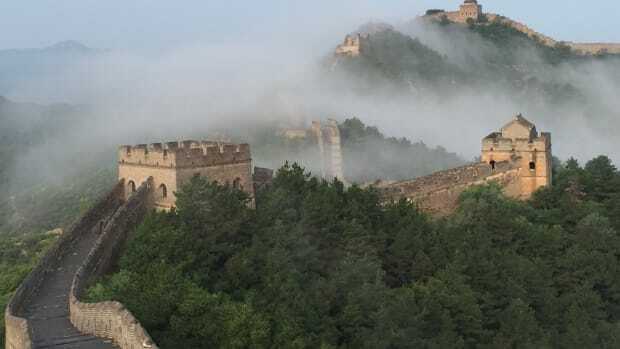 In some strategic areas, sections of the wall overlapped for maximum security (including the Badaling stretch, north of Beijing, that was later restored during the Ming Dynasty). From a base of 15 to 50 feet, the Great Wall rose some 15-30 feet high and was topped by ramparts 12 feet or higher; guard towers were distributed at intervals along it. Did you know? 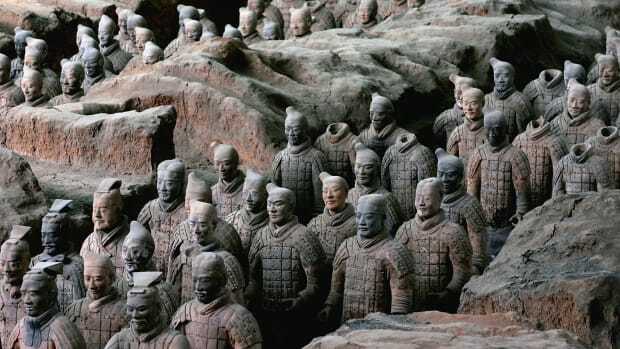 When Emperor Qin Shi Huang ordered construction of the Great Wall around 221 B.C., the labor force that built the wall was made up largely of soldiers and convicts. 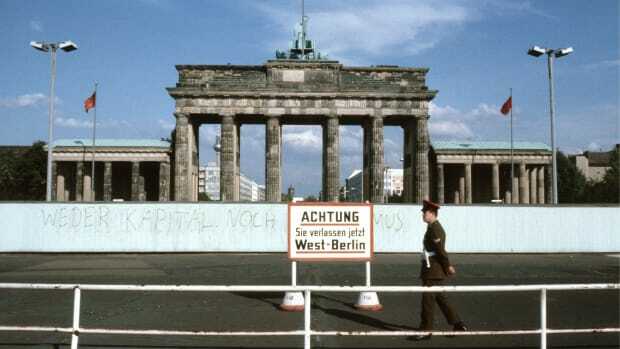 It is said that as many as 400,000 people died during the wall&apos;s construction; many of these workers were buried within the wall itself. With the death of Qin Shi Huang and the fall of the Qin Dynasty, much of the Great Wall fell into disrepair. After the fall of the later Han Dynasty, a series of frontier tribes seized control in northern China. 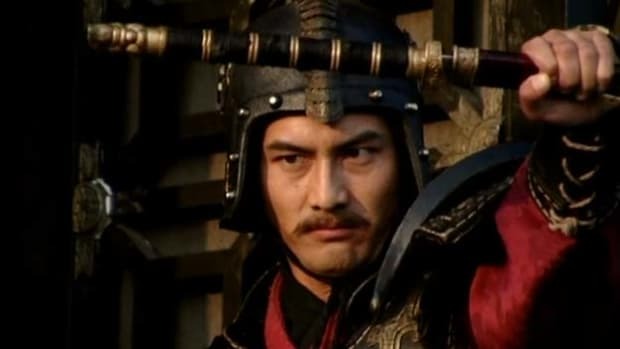 The most powerful of these was the Northern Wei Dynasty, which repaired and extended the existing wall to defend against attacks from other tribes. 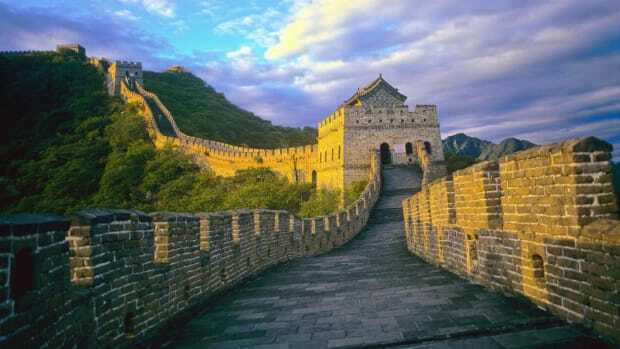 The Bei Qi kingdom (550–577) built or repaired more than 900 miles of wall, and the short-lived but effective Sui Dynasty (581–618) repaired and extended the Great Wall of China a number of times. With the fall of the Sui and the rise of the Tang Dynasty, the Great Wall lost its importance as a fortification, as China had defeated the Tujue tribe to the north and expanded past the original frontier protected by the wall. During the Song Dynasty, the Chinese were forced to withdraw under threat from the Liao and Jin peoples to the north, who took over many areas on both sides of the Great Wall. The powerful Yuan (Mongol) Dynasty (1206-1368), established by Genghis Khan, eventually controlled all of China, parts of Asia and sections of Europe. 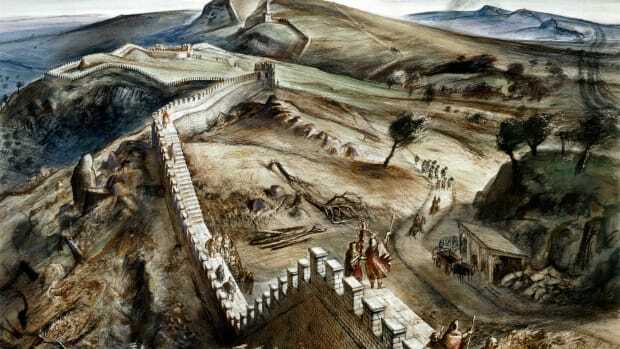 Though the Great Wall held little importance for the Mongols as a military fortification, soldiers were assigned to man the wall in order to protect merchants and caravans traveling along the lucrative Silk Road trade routes established during this period. Despite its long history, the Great Wall of China as it is exists today was constructed mainly during the mighty Ming Dynasty (1368-1644). Like the Mongols, the early Ming rulers had little interest in building border fortifications, and wall building was limited before the late 15th century. In 1421, the Ming emperor Yongle proclaimed China’s new capital, Beijing, on the site of the former Mongol city of Dadu. 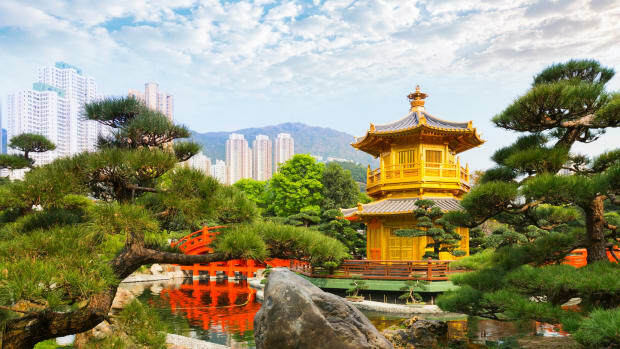 Under the strong hand of the Ming rulers, Chinese culture flourished, and the period saw an immense amount of construction in addition to the Great Wall, including bridges, temples and pagodas. 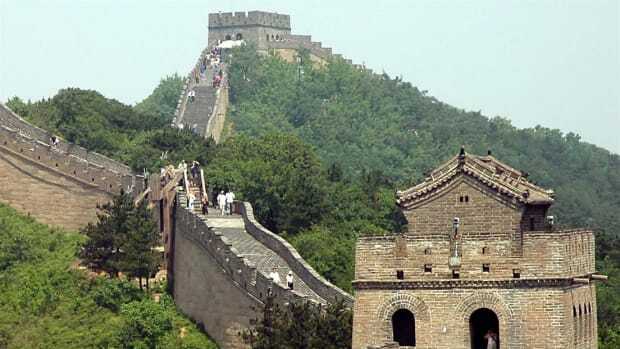 The construction of the Great Wall as it is known today began around 1474. 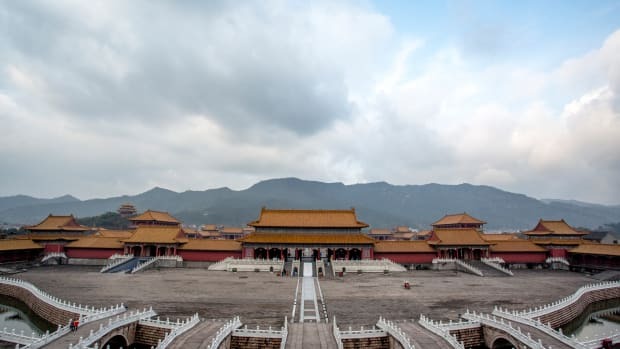 After an initial phase of territorial expansion, Ming rulers took a largely defensive stance, and their reformation and extension of the Great Wall was key to this strategy. The Ming wall extended from the Yalu River in Liaoning Province to the eastern bank of the Taolai River in Gansu Province, and winded its way from east to west through today’s Liaoning, Hebei, Tianjin, Beijing, Inner Mongolia, Shanxi, Shaanxi, Ningxia and Gansu. Starting west of Juyong Pass, the Great Wall was split into south and north lines, respectively named the Inner and Outer Walls. Strategic “passes” (i.e., fortresses) and gates were placed along the wall; the Juyong, Daoma and Zijing passes, closest to Beijing, were named the Three Inner Passes, while further west were Yanmen, Ningwu and Piantou, the Three Outer Passes. All six passes were heavily garrisoned during the Ming period and considered vital to the defense of the capital.